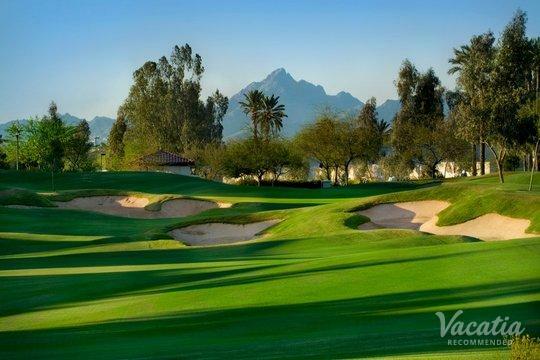 Phoenix and Scottsdale, two of four cities that make up the metro Phoenix area, are popular among vacationers for their resorts, golf courses, professional sports, culture scene, and more. 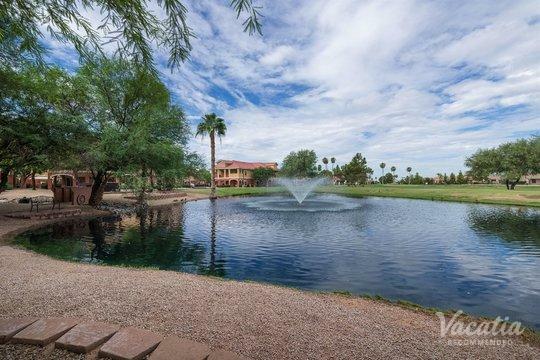 The sere beauty of the Sonoran Desert is just outside the cities' limits. 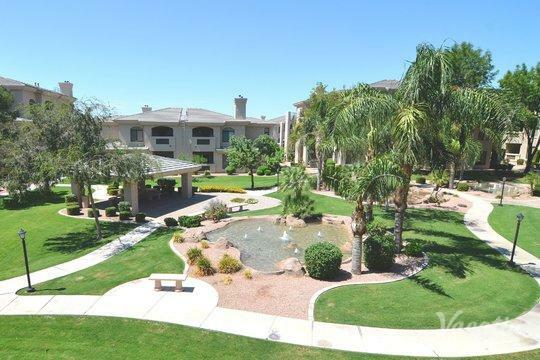 When you book one of our two-bedroom condo rentals in Phoenix or Scottsdale, you'll have a spacious and well-appointed home base from which to explore this unique area. 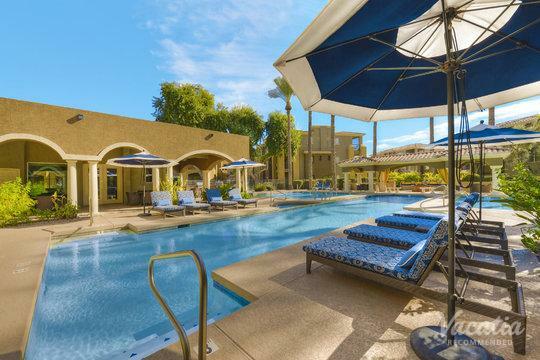 If you want to find high-quality two-bedroom condo rentals in Scottsdale and Phoenix quickly and easily, you should skip the regular Internet search and work with Vacatia. Our well-organized listings are sorted into easily navigable categories, and our Guest Care team is always available to answer your questions via online chat. 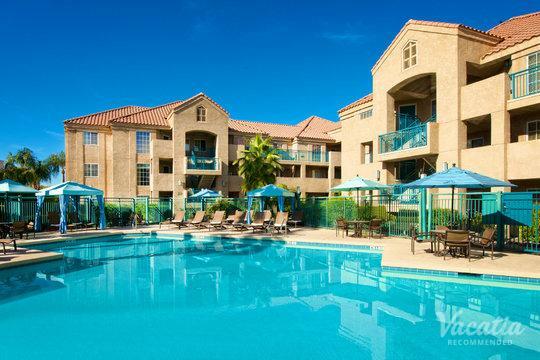 When you book with Vacatia, your needs will be met and your expectations will be exceeded. 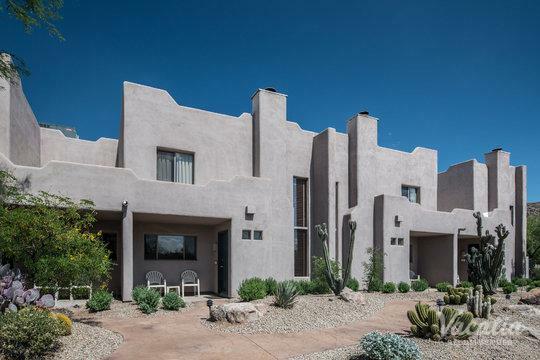 If you're in search of a two-bedroom vacation rental in Scottsdale or Phoenix, you probably already know that you want to have the comforts of home during your stay. You'll have a complete kitchen in which to prepare snacks and meals, a spacious living area where you can relax and hang out, and a washer/dryer for quick loads of laundry. When you book one of our resort residences, you'll get all this and more. 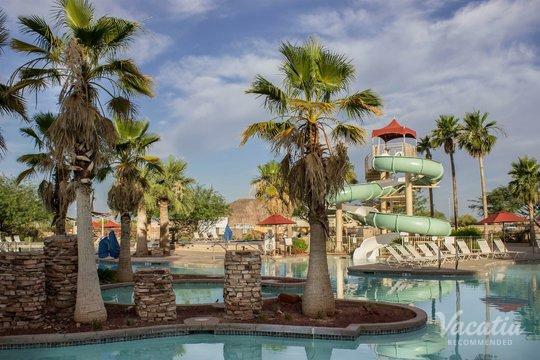 These accommodations provide the best of both worlds, which means that you'll also get a number of resort-style services and amenities. 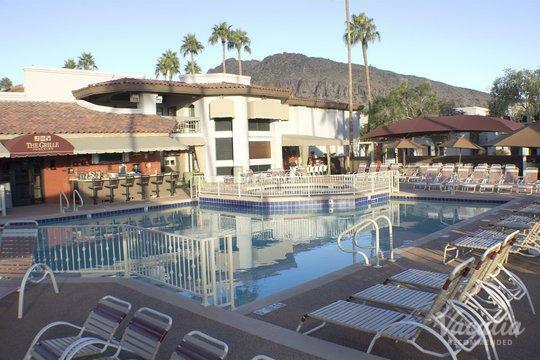 You can treat yourself to a gourmet dinner on-site, relax in an award-winning spa, or stay healthy in the fitness center. 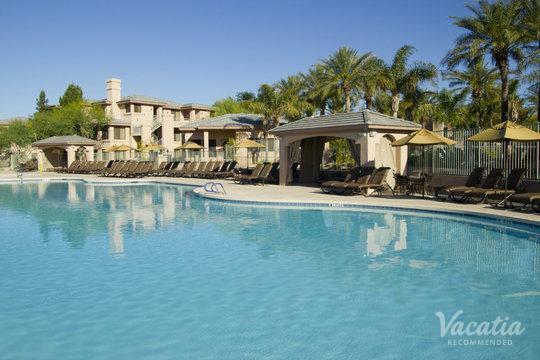 Metro Phoenix, also known as the Valley of the Sun, is so named for having 325 or more days of sunny weather every year. 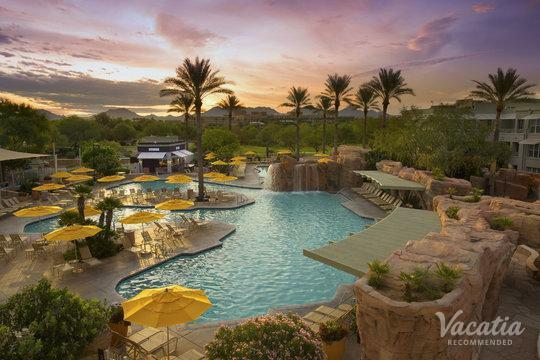 Many vacationers come to Phoenix and Scottsdale for the weather and the golf, but the Valley also has a wide variety of nightlife, outdoor activities, and shopping. 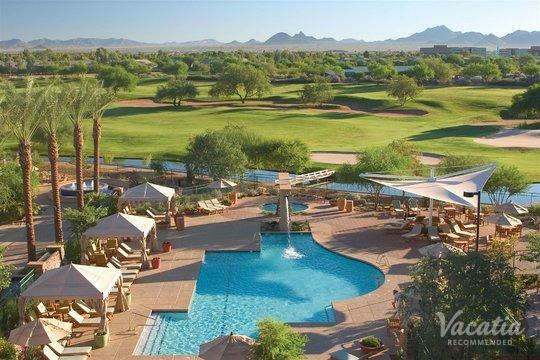 You'll find the best wine bars, old-timey saloons, and trendy dance clubs in Scottsdale. The Valley, located at the Sonoran Desert's northern end, is a gateway to the beauty of this prehistoric seabed that extends to Mexico's northwest. You'll find a lot more than cacti. Mesquite and palo verde trees, agave, brittle bush, and creosote bushes dot the sands, which are usually scorched by extreme heat for weeks on end. In late summer, you can see a sky illuminated by monsoon storms that conjure up lightning and the smell of creosote. 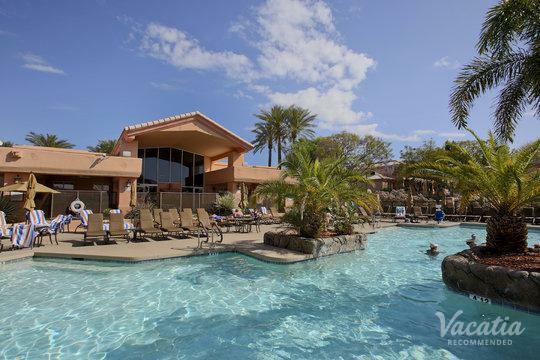 If you need the perfect place to relax and recharge after each fun-filled day, book a two-bedroom vacation rental in Phoenix with Vacatia.